Cash-and-Carry when you need it most. 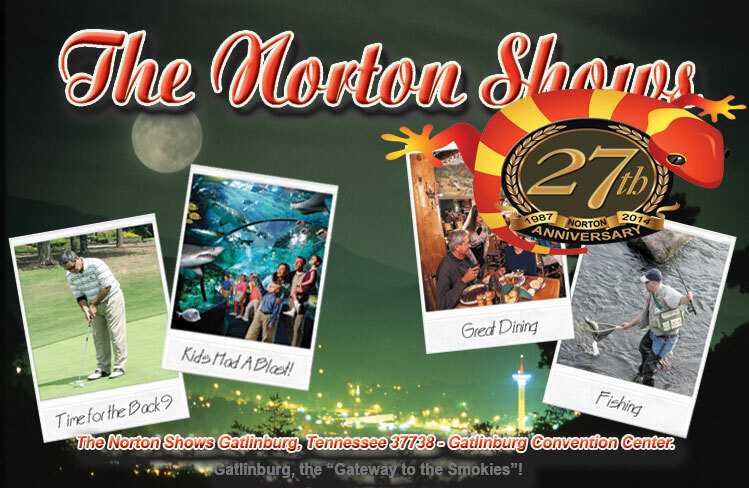 Celebrating 27 Years of Operation, Wholesale, Cash-and-Carry Markets, 4 Times Annually, 500 - 800 Booths, Beautiful, Convenient, Modern, State-of-the-art, Gatlinburg Convention Center. The Norton's Put Cash Back Into Cash-and-Carry! Easily Accessible to Buyers and Exhibitors, Drive-In Loading and Unloading, 5 Truck Bays, 2 Day Set-Up, Low Booth Fees, No Membership Dues, No Registration Fees, No Union, Relatively Low Crime and Traffic, Ample Discount Motels, Hotels, Chalets, Rental Cabins, RV Parks, Delicious Restaurants, Country/Western Music Theaters, Golf Courses, DollyWood, Ober Gatlinburg Ski Lodge and the most popular Aquarium in the United States. 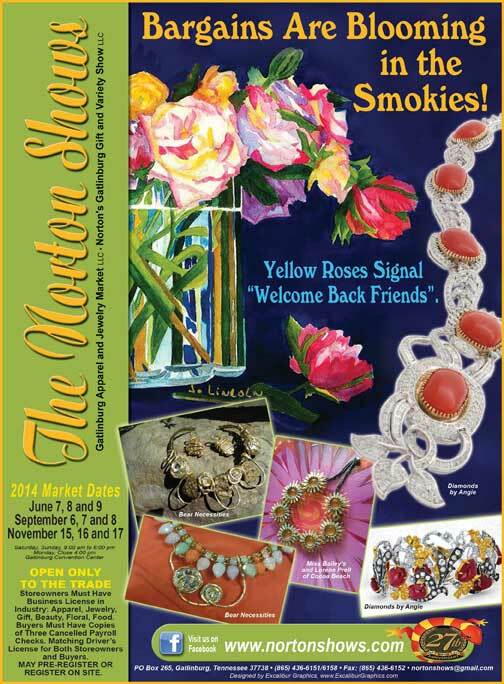 The Norton Show will draw attention of large number of exhibitors from all over the world. Some of the most frequent exhibitors will be producers, jewelers, and designers of various ornaments comprising rubies, sapphires, body jewelry, bracelets, rings, eardrops and necklaces; ladies, men's and children's apparel such as Shrugs, decorated jeans, swirling skirts, beaded blouses, leathers, hats, caps, shoes, swimsuits, lingerie, suits, dresses, evening gowns, formal wear and many more.